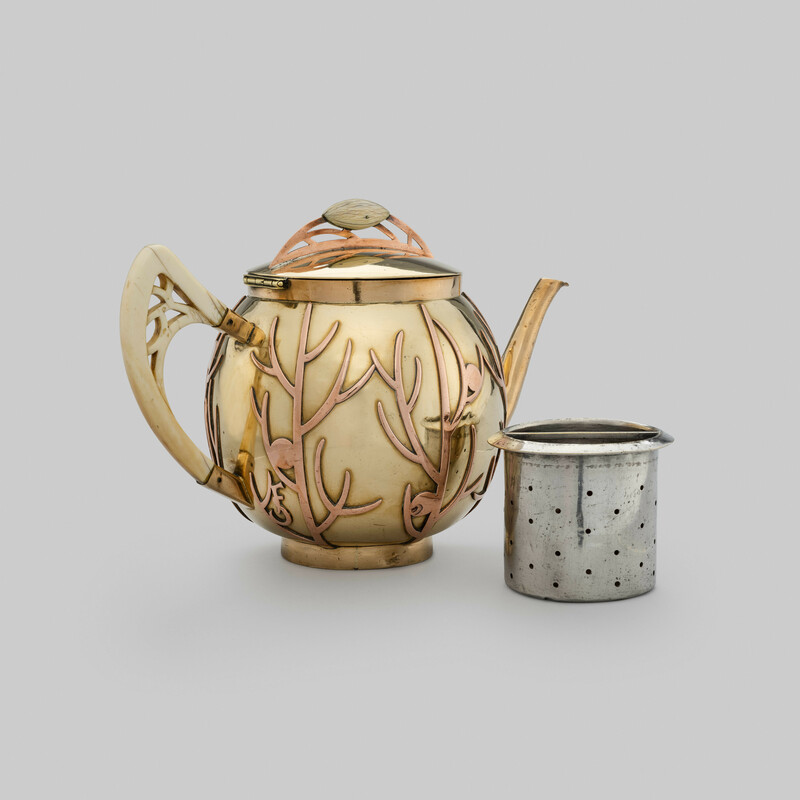 This teapot was made by Frank Scheidecker, a French designer born in Manchester to French parents. 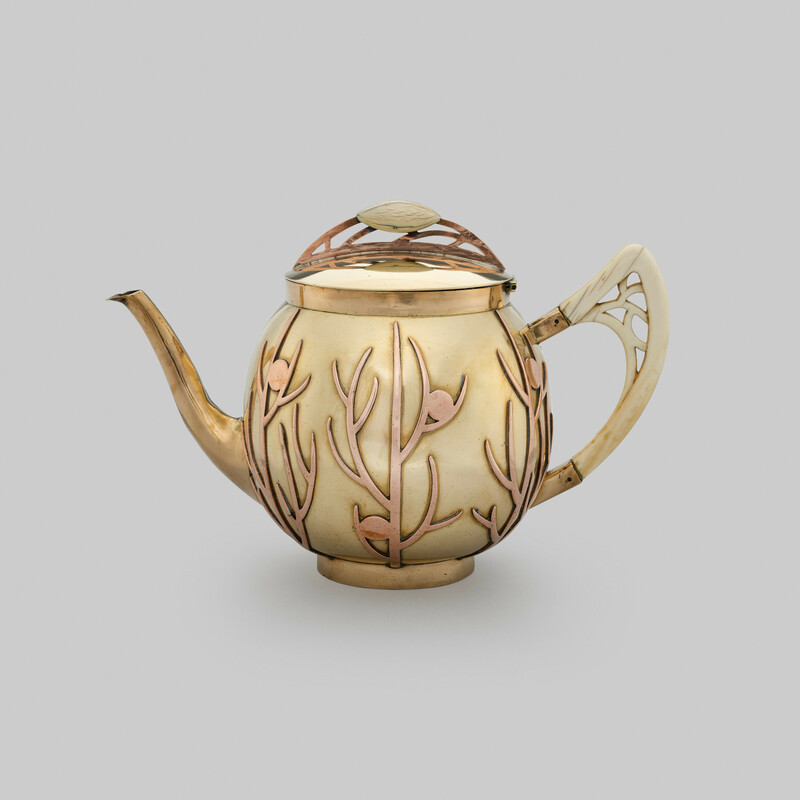 Scheidecker specialised in the production of copper objects such as this teapot, which is made from two tone copper in the Arts and Crafts style. On the left-hand side of the pot, near to the handle, Scheidecker’s initials ‘FS’ have been incorporated into the copper design, a feature often found on his work. 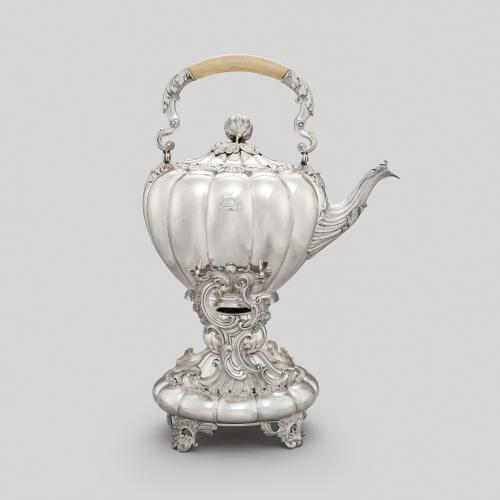 On the inside of the pot is a removable pierced silver-plated filter which would have contained the tea leaves. Scheidecker exhibited in the Paris Salons and this model was displayed at the Salon de la Société Nationale des Beaux-Arts in 1907. It is illustrated in L’art décoratif aux Salon de 1907, a catalogue of products on display that was published by A. Guérinet, alongside a milk jug, sugar bowl and sugar tongs of the same design. The Arts and Crafts movement appeared in England in the late 19th century in response to the poor quality of decorative arts that were machine-made and mass produced at this time. The movement sought to reform art, design and architecture, focussing upon the creation of beautiful, handcrafted objects for everyday use. 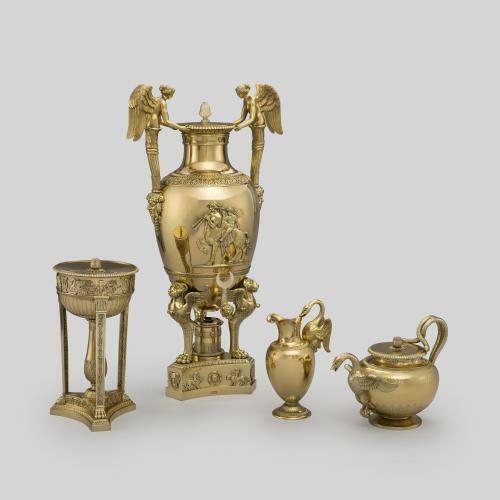 Materials such as copper and pewter were favoured, as well as simple forms with minimal decoration. 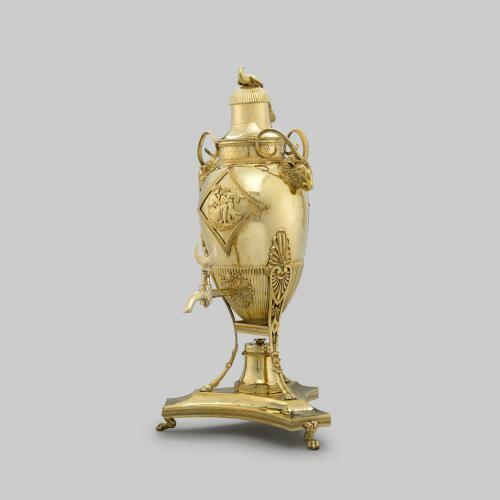 The movement spread to Europe where it greatly influenced the design of furniture, homewares, jewellery and clothing.